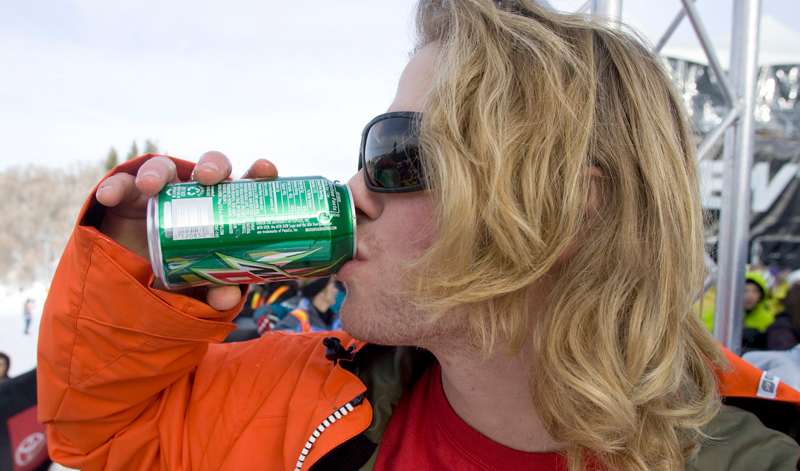 This afternoon, after halfpipe, the big ski action Saturday continued. 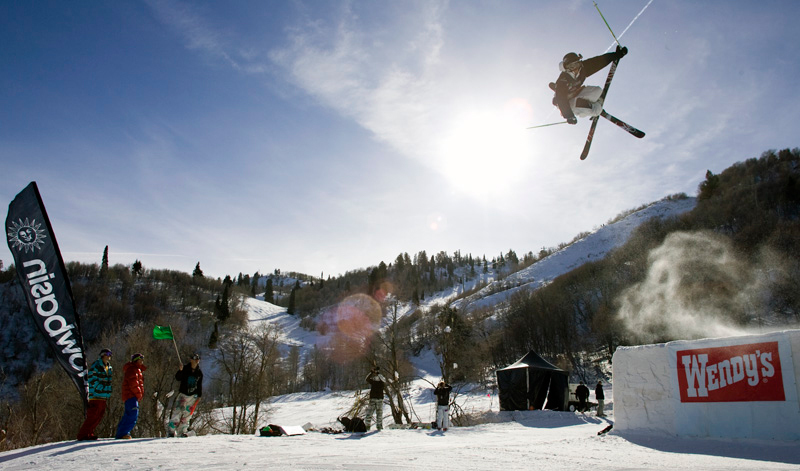 As the blue sky faded to a milky gray this afternoon, and the sleds revved and ripped riders to the top of the slopestyle course. After a long day of practice for the men, time finally came for 20+ men to throw down in hopes of snatching one of the top nine qualifying spots for tomorrow's big show. 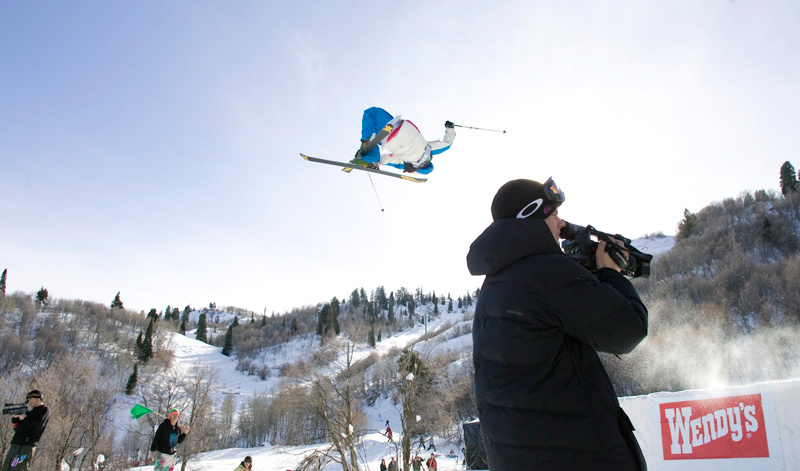 Those nine will meet pre-qualified Andreas Håtveit, Tom Wallisch and Sammy Carlson, in a battle royale, slopestyle deathmatch here in Utah. 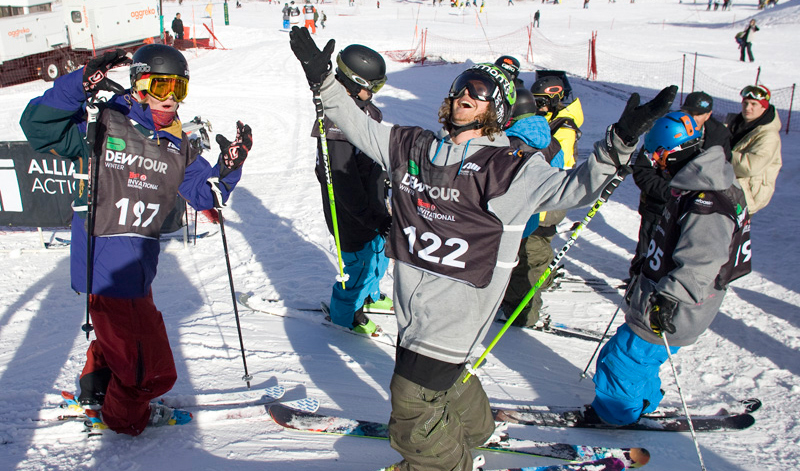 Top spot went to none other than Jossi Wells, who hustled over after winning himself a halfpipe 1st place. 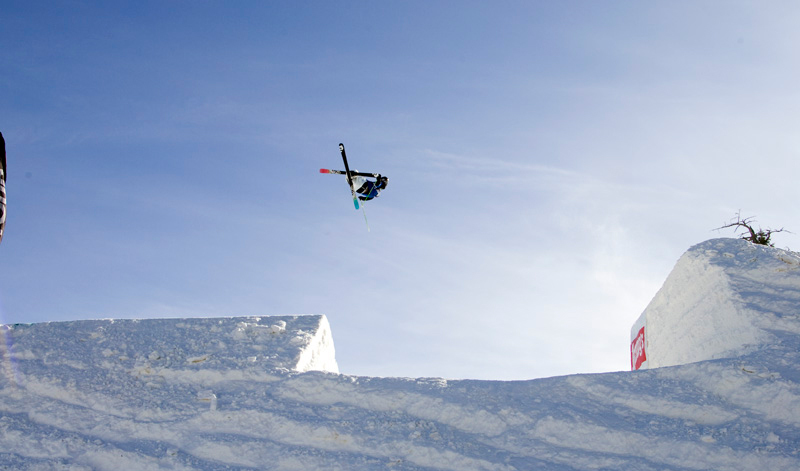 Jossi's rail trickery, right 900 to switch 900 to double cork 1260 was too much for the slope guys to handle. Alexis Godbout, who spun like a top took 2nd qualifying place. Right 900 to switch 1080 to switch 1080, with an 810 off the bottom rail was the run that did it for Alexis. 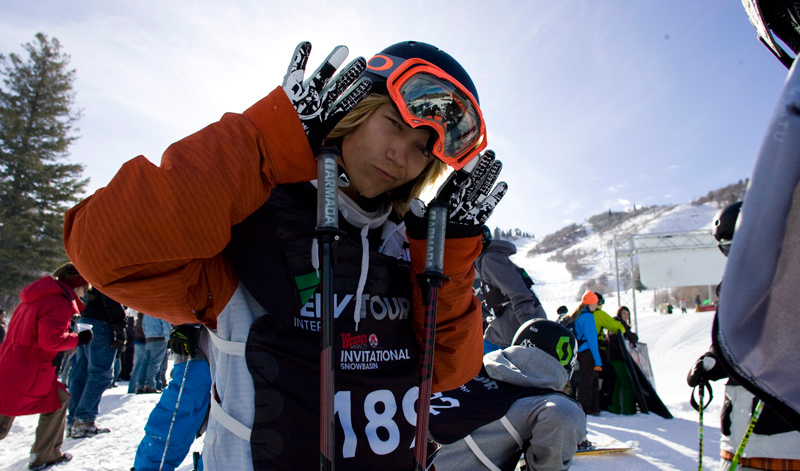 Reigning X Games gold medalist TJ Schiller snagged the 3rd place qualifying spot. Right 900 to switch 1080 to switch double flip 900 was enough to keep him in that third spot. Phil Casabon brought signature style to snag 4th. McRae Williams used his rightside rodeo 900 to blow away super pros and grab 5th. 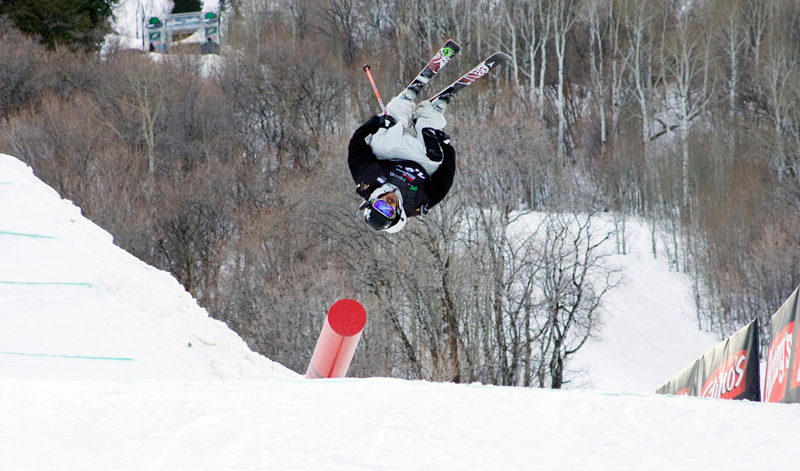 Ian Cosco double flipped and switch flipped off the bottom rail to grab 6th. Elias Ambuhl held it together (double flipping) on his 2nd run to sneak into 7th. 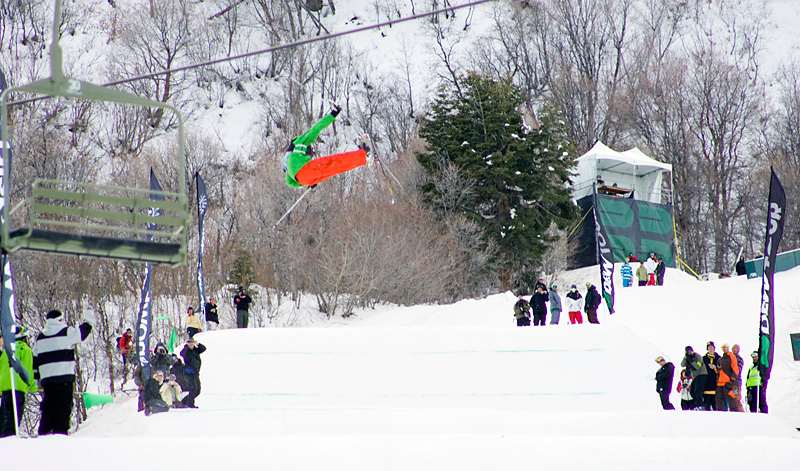 Bobby Brown, who was bombing the 3rd jump, held on long enough for 8th place. And Charles Gagnier grabbed that bubble spot, even throwing in a Gagnier slide at the top of the course. Today in the gray weather and wind, some big names didn't qualify. Russ Henshaw, an individual used to sunny weather and golden beaches in Australia, couldn't drop a run we're all used to. Alex Schlopy fell on his first run and hurt himself (hopefully, not seriously). AJ Kemppainen and Simon Dumont hurried over from the halfpipe and put down solid run landing them in the middle of the pack. Jacob Wester and Sean Jordan both had some big bobbles, keeping them out of contention. 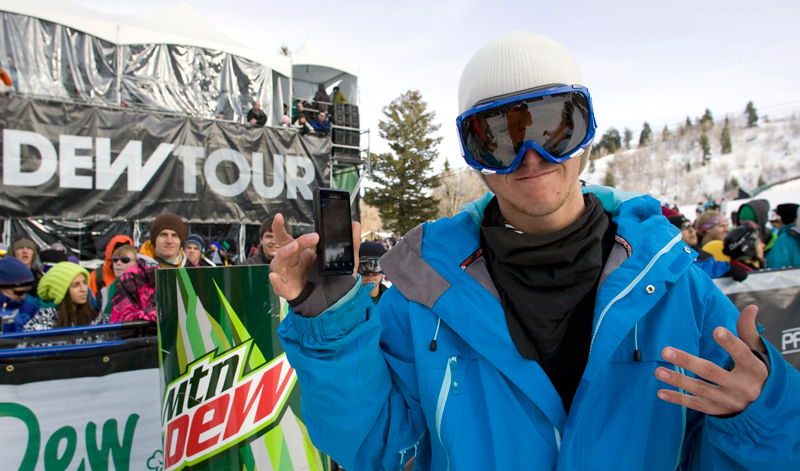 But the great thing about the Winter Dew Tour is that there is another stop for these guys to show off. We'll see them in Mt. Snow. 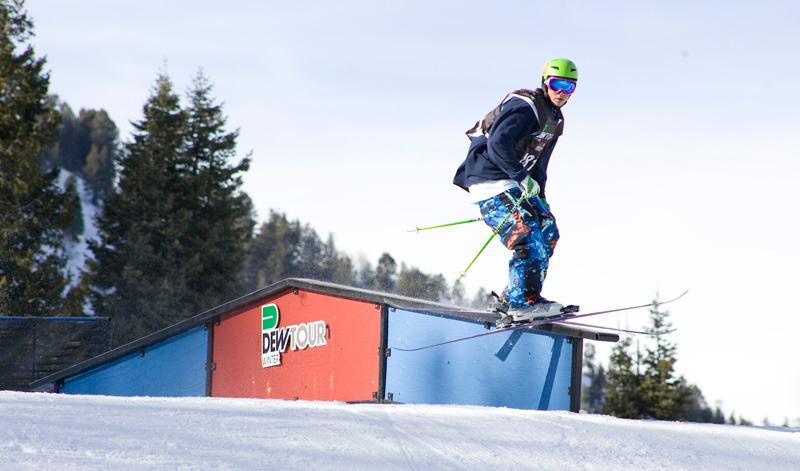 Tomorrow, Mother Nature should cooperate a little more than her milkbird performance this afternoon, setting the stage for what should be an incredible Slopestyle day. Stay tuned for all the hits and blows from tomorrow's action.